The iPhone Xs: Is it Worth It? We weigh the pros and cons of one of Apple's newest phones. 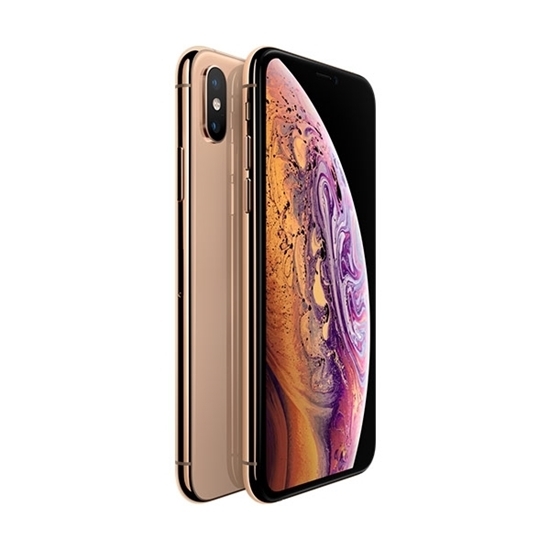 Many people have already heard that a new iPhone recently came out, the iPhone Xs , on September twenty-first. Apple brags about the new phone’s massive size (6.5 inches) and improved camera and facial recognition systems, but what really is the difference about it? It does have the facial recognition, but that isn’t anything new anymore. And sure, the storage size is a whopping 256GB (gigabytes), but the iPhone X can hold just as much, and the even newer iPhone XR can hold far more (512GB). If it is so similar to all the other new phones, then why is there so much hype around it? Is Apple just trying to scam you into buying a $999 dollar phone? Read this article, and you’ll find out. Even though it is very similar to the iPhone X and iPhone XR, there are some defining features both outside and within the phone. The biggest improvement Apple made on their newest phone is that it is water resistant to a depth of 2 meters for up to 30 minutes. It is only the third phone with water resistance, and is water resistant for the longest time (in comparison, the iPhone X and XR are water resistant for only 25 minutes and at a depth of 1 meter). The new camera also has a 5.8” Super Retina Display, the same as the iPhone X, and the XR has a 6.1”. And on top of all that, it has an A12 bionic chip, currently the most advanced of its kind. This means it can compute and process data very quickly, faster than any other phone to date. Like a lot of other modern household items, such as televisions, computers, and toasters, the iPhone Xs has its bugs that we would probably rather not deal with. Just by looking at the size of this paragraph, you can see there are a LOT of cons. A gigantic problem with the new phone is the astronomical cost: $999 Do you think that the average person can afford that? I didn’t think so. Only a very small percentage of the public can sacrifice that much money for an iPhone, and the new phones will only get more and more expensive. Another con is the limited phone color choice. Most phones can come in as many as seven colors, such as black, white, blue or red. However, the Xs only comes in three: white, space gray, and gold. The limited color choice may cause the phone to appeal to less people. Perhaps one of the biggest issues is the battery life, which is nine hours and forty-one minutes. At first glance, this may seem like a long time, but compared to other new phones, it is very, very short. In comparison, the iPhone X has an astounding twenty-one hours of battery life, and the XR has about twelve hours. This is one of the biggest problems that Apple left unresolved during the production of the phone, as the battery life is one of the most important components of the iPhone. Whenever you buy a new phone, one of your concerns that comes with it is if it breaks easily. Sometimes, you may want to buy a really good case for your phone. Unfortunately, the iPhone Xs is one of those phones you might consider to be easily breakable. According to www.zdnet.com, the “all-glass design of the iPhone XS and XS Max make them highly susceptible to cracking, particularly from drops”. This may not be a good thing if you are low on cash, because repair costs for the new iPhones are expected to be around $399 to replace a front screen and $599 to fix a shattered back. The money all by itself may be enough to scare the average person away. That brings us to an end. Maybe the phone has a slightly better processing speed, better camera, and sure, you can stay underwater for 5 more minutes, but, in our opinion, the cons far outweigh the pros. Now, the decision is yours and yours alone: Is it worth it? The three colors: White, gold, and gray respectively.